A fisherman’s dream? Fishing themed decor! 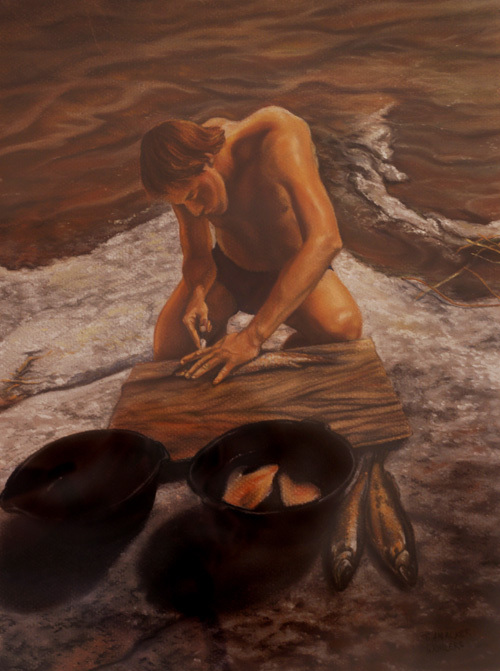 Late Day Fillet is a warm toned pastel drawing of the quiet task that awaits the fisherman at the end of a successful day of fishing. This could be the perfect one of a kind gift of wall art for the fishing enthusiast and their fishing themed room. Great for any fishing expert who loves to spend the day on the lake and comes home to only think about tomorrow’s day on the lake!